Can Bashir, a Brutal Survivor, Ride Out the Growing Wave of Protests in Sudan? Sudanese President Omar al-Bashir greets his supporters at a rally in Khartoum, Sudan, Jan. 9, 2019 (AP photo by Mahmoud Hjaj). 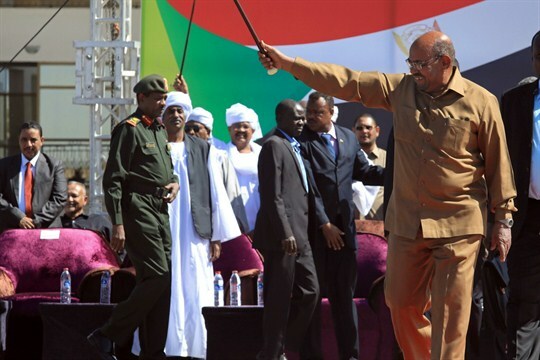 Omar al-Bashir’s long rule in Sudan has been defined by a criminal and abject failure to govern. But he has also shown unmistakable staying power as the leader of a vast, hard-to-manage country. That is now being tested to its limits as weeks of anti-government demonstrations show no sign of dissipating, even in the face of killings and mass arrests carried out by his security forces.